Show how your energy reduction projects translate to savings with measurement and verification (M&V) reporting and data export. Every investment should yield results. Yet one of the most overlooked aspects of an energy reduction project is proving whether or not it produced the intended cost and consumption savings. To do this, you need complete, accurate and detail-rich utility data. Whether you need data that can be imported to your systems or to show that you’re meeting specific Measurement & Verification (M&V) standards, EnergyPrint helps you easily calculate and communicate cost avoidance — for less than the typical cost of an engineer’s time. We collect and standardize a building’s utility data, then serve up the data to you in the most useful form. If you’ve already built or bought M&V software, we can manage the utility data and serve it up for your internal use. Or, we offer a cloud-based Utility Dashboard that allows you to easily see how energy consumption has changed over time. We can also help you create professional-looking reports that you can share with your clients or decision-makers. We are utility data experts, and we stop at nothing to get the most accurate data for you. Working with thousands of utilities across the U.S. and Canada, we gather, input and validate data from all energy, water and waste utilities, regardless of the process required to obtain it. In just a few easy steps, you’ll access the utility data information you need to show cost avoidance. We start by collecting and validating the data, then input it into an easy-to-understand dashboard. We capture all unique consumption and cost data points from any utility company. 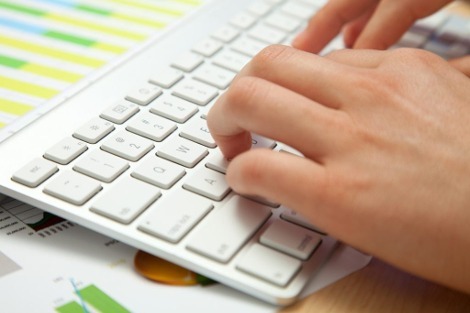 Detailed data points such as billed demand and actual demand can better support analysis. Depending on the recurrence of updating data, we can price the solution as a one-time historical utility data service or an ongoing service. 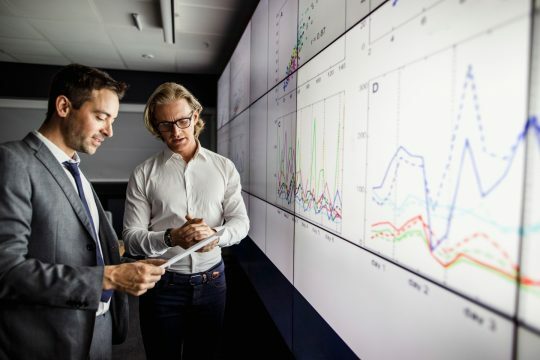 Whether you use internal tools or another application to crunch your performance numbers, EnergyPrint will be your partner to ensure you have timely, validated utility data to drive sales assessments, benchmarking, project development and M&V reporting. 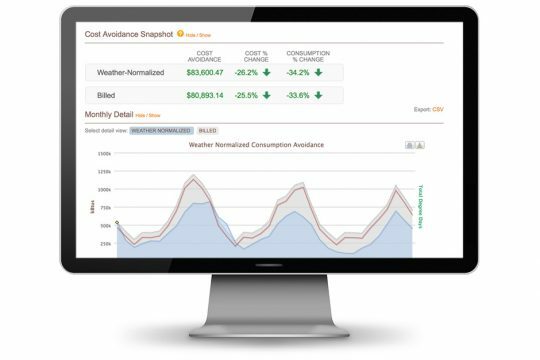 Or, choose to review the data via the Cost Avoidance feature of our Utility Dashboard, a cloud-based tool that helps you visualize energy consumption based on an adjustable 12-month baseline period. Compliant with ASHRE 14 and IPMVP Whole Building Option C Measurement and Verification (M&V) protocols, the Cost Avoidance feature tracks and compares both billed and weather normalized cumulative energy performance. Need to present your data to key decision-makers? Using our Insights Architect reporting platform, we will help you create a customized, professional-looking report that highlights the key metrics that best show ROI for your project. Use our robust data services to capture history and ongoing data for your performance-based projects. Depending on the level of measurement and verification reporting you need, we’ll send the data to you or let you choose from basic, premium or advanced cost avoidance options in our cloud-based Utility Dashboard. Our basic option is best for reporting reductions in utility bill costs. 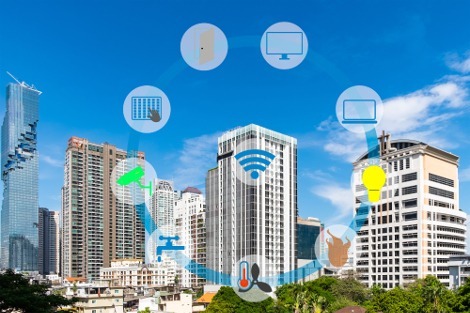 This service includes collection of a building’s utility data, input into our cloud-based system, validation of the data and access to the Cost Avoidance feature in our Utility Dashboard. 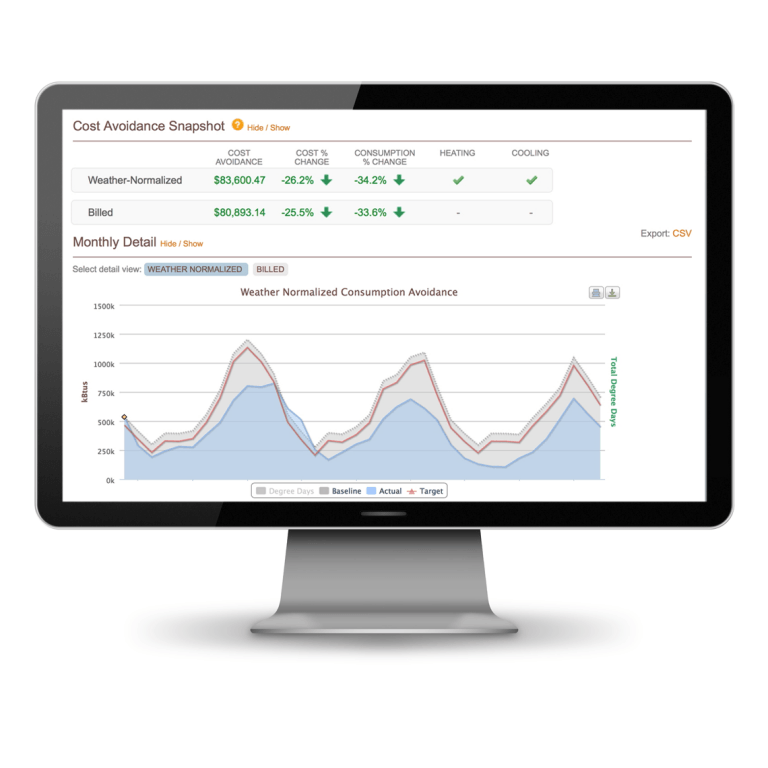 Weather Normalized Cost Avoidance is a premium option allows you to see the avoided costs regardless of weather, illustrating the true value of energy savings projects. This service helps you assess changes in performance related to specific energy conservation measures. When you need highly customized metrics, this option allows you to set up and adjust your performance-based projects to specific parameters. In minutes, you can input a project with reporting capability that includes actual cost and weather normalized metrics. Save time by having EnergyPrint gather, input and validate your utility data direct from the utility companies. Set your own baseline to report on simple utility bill reduction. Visualize validated utility bill cost savings in simple charts and graphs. Visualize a building's avoided costs regardless of weather, illustrating the true value of energy savings projects. Assess changes in performance related to specific energy conservation measures. 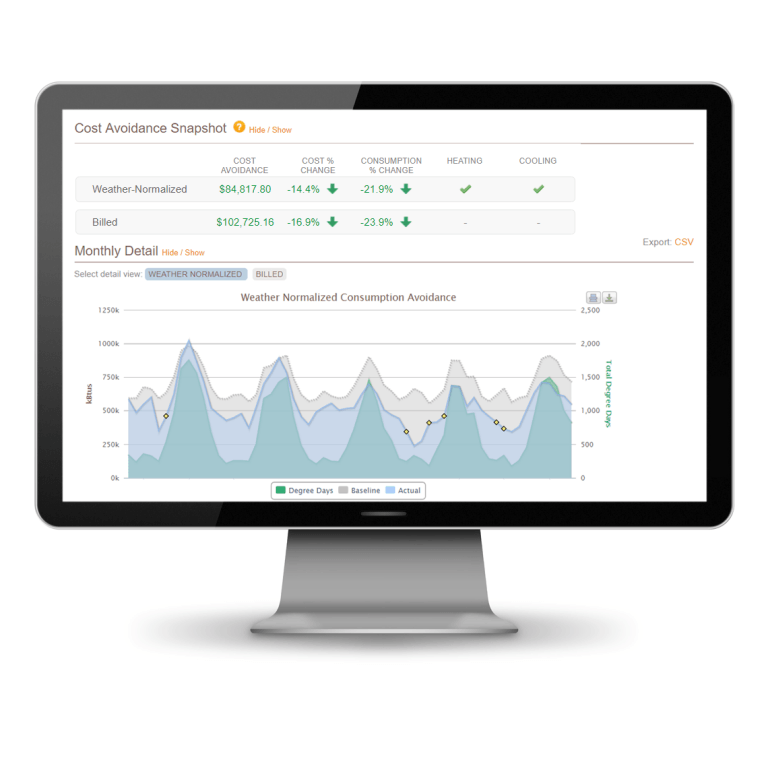 Compare both billed and weather normalized cost avoidance through simple charts and graphs. Reflect the pre-project utility rate to prove performance contracts and guaranteed savings. Set your projected cost reduction and visualize the trend over the project life-cycle. Customize degree-day balance points to establish the most accurate baseline for a project.